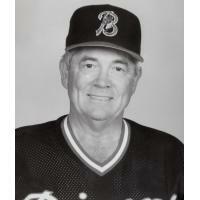 The Buffalo Bisons family is deeply saddened to learn of the passing of former Herd hitting coach and manager, Doc Edwards. He was 81. 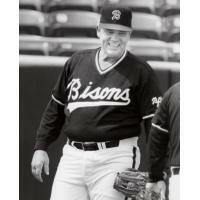 Edwards managed the Bisons for two seasons, winning 126 games from 1993-1994, and guided the team to a 2nd-place finish in the American Association Eastern Division in his first season as the manager. He is one of only 10 managers in the team's modern era to have over 100 wins with the team. Edward's tenure with the Herd actually began in 1992 when he was the team's hitting coach. Serving under manager March Bombard, Edwards worked with such players as Brian Dorsett, Al Martin, Carlos Garcia and Eddie Zambrano to help the Herd win the A.A. Eastern Division by four games. Howard Rodney Edwards was born in Red Jacket, WV in 1936 and earned the nickname 'Doc' after serving as a medic in the Navy. As a catcher, he played 317 games in the Major Leagues from 1962-1970 and hit .238 with 15 home runs and 87 RBI for Cleveland, Kansas City, Philadelphia and the New York Yankees. Edwards managed the Cleveland Indians for parts of three seasons, 1987-1989, including a 78-win campaign in 1988 (total 173-207). At the minor league level, he served as the Red Wings manager during the 1981 season that included the 33-inning marathon game between Rochester and the Pawtucket Red Sox. Most recently, Edwards spent six years as the manager of the San Angelo Colts of the independent United League Baseball from 2009-2014. He was named the 2009 ULB Manager of the Year.